- Is it hard to get to Finland? Not at all! Frequent flights operate to Finland from Europe´s and North America main cities and many gateways are served daily. Flight times from Europe are two to four hours. And also an excellent connection with most Asian major cities. - Do Finns speak English? Most Finns speak fluent English. In fact, they welcome the opportunity – so never be shy about approaching an Finn. - Can I pay my fees with a credit card? - How many or few people will be in my group? This depends on the nature of the excursion and the season of travel, but our rule says: no more than 16 people in a group. - I would like my family to have a private tour on our own without any other people joining. Is it possible? We are happy to arrange our programs privately – just send an email inquiry to info@nordicadventures.fi and we will look into available options. - Do You provide transportation to Your adventures? Most of our tours (please see specifications under each safari) include transfers from accommodation in Rovaniemi city area. It is included in the adventure price. Transfers from accommodation places located further out from the city can be arranged at an additional cost. The pick up is usually 15-20 min before the start of the safari. Transportation back is immediately after the end of the safari. - Would the price of the tour be different if we do not need the transfers? - It says you need a minimum of 2 people paying full price to join a safari. I am travelling alone and do not want to pay extra. What can i do? Please let us know (info@nordicadventures.fi) the dates when you would like to join the activities and we will be happy to make it happen. - I need to cancel or change my adventure booking, what should i do? - When is the best time to see the northern lights? Our guaranteed nightly Norther Lights hunting departures are from the end of September to April! - How do I know if the Northern Lights tour is on for the evening? Like you might have heard, the northern lights are a pretty difficult thing to predict. If we think there is no chance at all of seeing the lights we will cancel the tour. We don’t want to bring you out and disappoint if there is no chance to see the light. - What are my options if my Northern Lights tour gets cancelled? In all cases you will need to contact our sales desk via email (rovaniemi@nordicadventures.fi) or phone +358 40 744 2567. - If we do not see the northern lights on the northern lights safari, will you give us a refund? We do not refund any money or give you new tour if you do not see the Northern Lights during your safari but we will do our very best that you will enjoy your safari with or without them. - What are the best camera settings for photographing the Northern Lights? ​Different combinations may give very different results. Higher ISO setting will allow you to capture faster exposures, but the downside to this might be for example grainier images. ​If the shutter speed is above 15 seconds it will result in slight star movement. ​Wider angle lenses are usually more versatile in low light settings, but longer lenses give you different options for compositions. Make sure that you remove all lens filters, as they may distort images. You will probably get the best results with manual setting for infinite focal length​. Be sure to remove all lens filters, as they may distort images. You will probably get the best results with manual setting for infinite focal length. - What kind of money do we use in Finland? The Euro (EUR). All major currencies can be exchanged at the airport, banks and currency exchanges. Visa and MasterCard are accepted almost universally, and ATMs are generally not hard to find. - What about the electricity? Finnish electrical standards are European (50Hz, 240 volts) so many North American electrical devices will require converters. 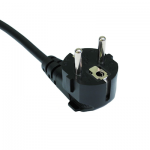 Plugs are generally two-pin, so devices brought in from the Asia, UK and North America will require adapters. - Will my mobile phone work in Finland? Most European cell phones work on Finnish GSM network; North American ones use a different standard. Iceland now has the highest rate of cell phones use in the world. Mobiles work in towns and on virtually all main travel routes. Free Wi-Fi is in almost all public places, and we also recommend buying a local sim card, which will have both: minutes of talk and internet connection. The cost is 5-10 euros. You can buy it at any mobile phone store, any R-Kioski, gas stations. No unnecessary manipulation or documents for this is required : buy, insert into the phone, start to use. - How to dress right and feel comfortable in Winter? Nordic Adventures is also happy to rent out the winter clothing for 20 €/person/day. Winter - Christmas, the Polar Night and snowy spring from December to March. December and January are snowy months shrouded in the darkness of the Polar Night. The sun comes out in February and marks the start of the snowy, light-filled spring. March is often terrific for Northern Lights viewing. In Rovaniemi, the Official Hometown of Santa Claus, Christmas is a special time, as many flock to the arctic town to meet Santa in person and experience the festive season in magical wintery surroundings. The winter is a great time for a number of activities both in the snow outside and experiencing local culture inside. Please see more on activities here. April is still considered a snowy month in Rovaniemi and Lapland, but the snow gradually disappears as May approaches. The ice on rivers and lakes starts melting, and big chunks of ice can be seen flowing downstream. In early April, the last of the Northern Lights displays can be seen. Towards the end of April, nights are too light for the Auroras to be spotted.In May, northern nature starts getting ready to blossom once again after a harsh winter. At the end of May, nights are white. In Rovaniemi, winter activities still run in early April, after which it’s time for non-snow stuff. Please see more on activities here. The Midnight Sun period officially lasts from early June until early July, but nights are white throughout the summer in Rovaniemi. The summer in Lapland can offer an interesting variety of weather conditions, with a longer warm spell expected in July. The warmest time of year brings people out in masses, and various events take place in summery Rovaniemi. Prepare to celebrate until the wee hours, as the sun never goes down. There are plenty of things to do in Rovaniemi in the summer, and with 24 hours of light, there’s no limits to time of action. Please see more on activities here. Early August is still considered summer by many, but by the end of the month, it’s definitely autumn. The Northern Lights start appearing in late August, and September and October are ideal Aurora viewing months. Temperatures start dropping below zero in October, and first snow usually falls at around the same time period. A permanent snow cover is expected in late November. Autumn leaf colour paints the landscapes in earthy shades, and days are perfect for hiking and other nature related activities, as nights are best reserved for Aurora spotting. Please see more on activities here. - Am I insured on the adventures? All snowmobiles are insured in accordance with the Motor Insurance Act. The insurance policy covers all treatment costs incurred from injuries suffered by the driver or passenger in case of accident. Additionally, the policy also includes cover against third party personal injuries and full cover for property damage to innocent parties as stipulated by the Motor Insurance Act. Nordic Advenures will not be held responsible for any personal or material damages that occur during other activities, such as husky safaris, reindeer safaris or other programs. We recommend you take personal travel insurance before travelling to Finland. We also reserve the right to interrupt the tour/safari if the participant could cause harm to him/herself or others, or his/her health condition weakens. - Can i drive a snowmobile? Riding a snowmobile is easy but you should consider your experience and skills when selecting a safari. Start with easy and short ones (skill levels are pointed out on program description) to get more experience, after which you can choose the longer and more sporty ones if you wish. The main limits for snowmobiling come from the law: you need to be minimum 15 years old and hold a valid driving license – A1, T, A or B category (please check that it is valid in Finland!). For longer safaris, you need to be at least 18 years old or travel together with a family member who is willing to take full responsibility of you during the tour. - How do the children travel on snowmobile safaris? All children will sit in a sleigh pulled by the guide for safety reasons. Children taller than 140cm can sit behind their parents on a snowmobile when paying an adult price. We do not recommend long snowmobile safaris for small children. - My child has flu, what if we need to cancel our trip? In case of cancellation before the day of the activity, the deposit is refundable minus office expense of -10% of the total amount of the reservation. All changes and cancellations need to be made either by e-mail or phone within Nordic Adventures office hours (8-18, GMT +2) no later than one day before the safari date (24 h).The reservation will be fully refunded in case of illness. A medical certificate needs to be sent to Nordic Adventures (info@nordicadventures.fi) within two working days from the cancellation date.